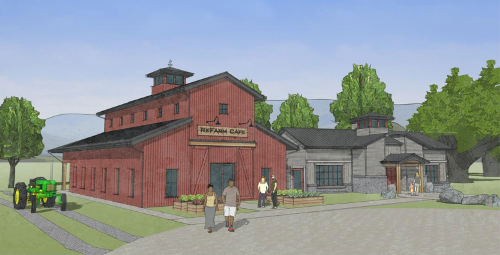 Sitting on the 57 acre Windswept Farm just north of the University Park campus, the RE Farm Café is believed to be the first Living Building Challenge certified privately owned full-service restaurant in North America. While currently being constructed, the farm-to-fork restaurant will operate on a net-zero energy, waste and water plan meaning all the food, water and energy will be grown, captured, generated and reused on site. RE Farm will serve as a real life demonstration of the research and principles relating to the nexus of food, water and energy discussed at the IAMG2019 Conference. 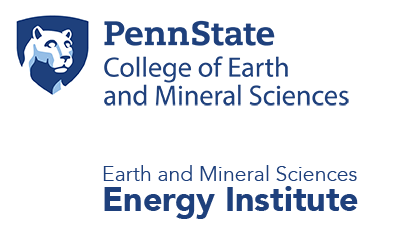 This half day trip will include transportation to and from the Penn Stater Hotel and Conference Center, a tour of the farm and lunch in the cafe. 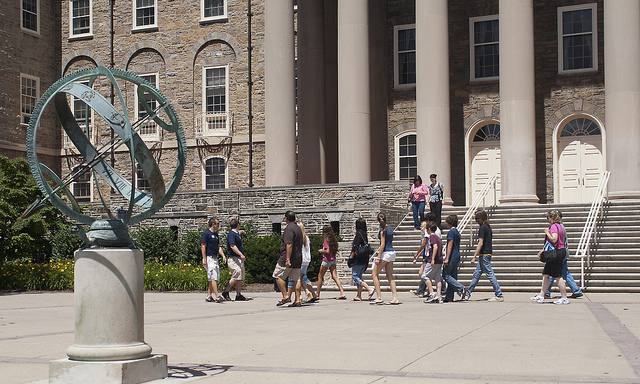 Learn more about the University Park (UP) campus and Penn State’s history on a ninety minute walking tour. The tour will be led by the Lion Ambassadors team, students with extraordinary University pride who are trained to communicate the University's history, personality and traditions. The tour will end at the Penn State Berkey Creamery a fully operational producer of ice cream and other dairy products at UP that supports student and faculty agriculture and food science where participants can purchase their own Creamery treat and take a self-guided tour of the facility. Transportation to and from the Penn Stater Hotel and Conference Center will be provided. Visitors to the Immersive Geosciences research lab at Penn State will use virtual reality (VR) to explore the geosciences. Specifically, they will experience an interactive volcano experience based on LiDAR (Light Detection and Ranging) and image data of Iceland’s Thrihnukagigur volcano. This unique iVR experience makes use of environmentally sensed data such that interaction and linked content can be integrated into a single experience. To mimic field trip activities, the participants will dig deeply into the process of geoscience fieldwork using an iVR toolbox that provides three functions: object manipulation and basic information inquiry (e.g., the acquisition of cardinal direction and composition information); measurement of geometric properties and relationships; and teaching-learning platform as a container of multimedia educational resources. 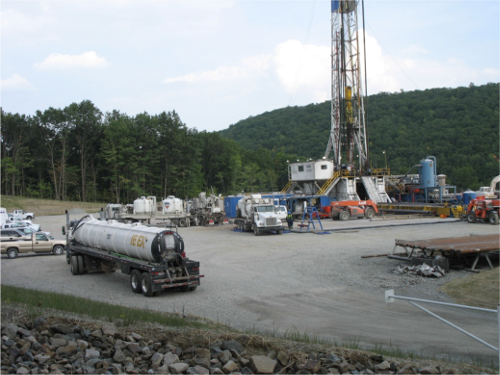 Attendees will visit the hot-bed of Marcellus Shale drilling activities in Lycoming County in Pennsylvania. This experience includes a guided tour of the outcrops in the region along with an opportunity to observe drilling and completion activities at well sites operated by Seneca Resources. Transportation and lunch will be provided.